The Flying South Playsuit is the perfect throw on item for hot days or layer with one of our t-shirts and a cardigan when its cooler. 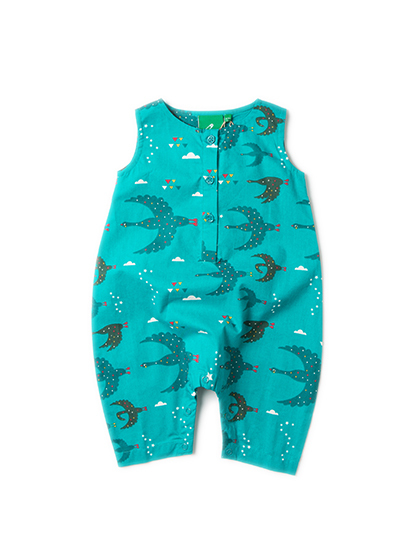 Our organic cotton jumpsuits are a comfy, easy play outfit for Spring or Summer. Made from soft organic poplin cotton and generously sized so you can get that little bit more wear. Popper opening on the legs easy dressing.